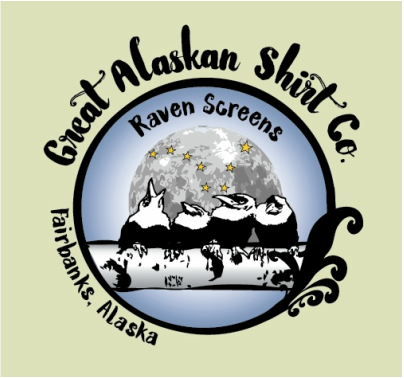 Great Alaskan Shirt Company (or Raven Screens) is a family owned business located in Fairbanks, Alaska. We specialize in a variety of professional and personal promotional products with services including screen printing, direct to garment printing, embroidery, ad specialties, logo design and more! Great Alaskan Shirt Company is proud to be a locally owned business serving the Interior and the entire Alaskan Community since 1988.